June 6 was National Trails Day, and our state fittingly celebrated the opening of two trails. 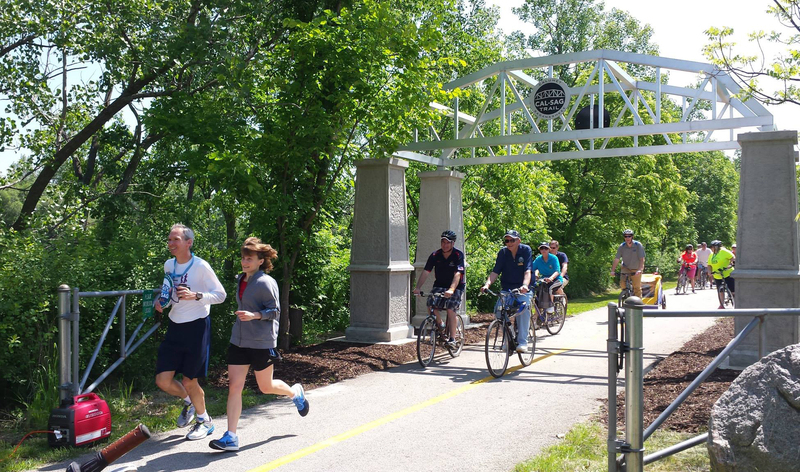 In Palos Heights, the Cal-Sag Trail held a grand opening and ribbon cutting celebration for the 26-mile trail that begins in Lemont and will eventually go to the Burnham Greenway. The 2.7-mile Bloomingdale Trail, part of The 606 elevated trail and park system on Chicago’s northwest side, also had opening festivities on June 6.